Sometimes, the best images are the ones we don't expect to make. This is what happened on my recent trip to A Coruña. This scene was just in front of the hotel where I was staying. I saw it on my second day there, and I visited the location multiple times over a period of 36 hours. I shot it during the day, at night, and before sunrise. The one I shot at dawn turned out to be the best one, and one of my favorite images I've made this year so far. See more images of A Coruña. I had to visit the city of A Coruña to get the images from my work "America Untitled" back, after one month on display. Of course, I did some photography in that beautiful city, and this video shows some of the footage and the images I made over there. I also talk about how and why I made a couple of those. A beatiful misty morning looking at the boats coming back to port. The beautiful setting of Cabo Ortegal. A few weeks ago, I went on a couple trips to the coast and I didn't record almost any footage of them. I still made a video, because I got some good images that I wanted to show you. A few weeks ago, during a trip to A Coruña, I visited the beach of Sabon where I wanted to create an image to show the contrast between the beach and the chimney of the power station. This place is familiar to me. Years ago, I used to work just a few hundred feet from there, and some times during lunch time I'd go to that beach to take a walk. The idea behind this image was to make believe the viewer that they are looking at yet another image of the ocean breaking against the rocks, and realize a little bit later about the "small" detail on the top right of the frame: a chimney from a power plant. A couple days ago, I had the chance to visit the city where I lived for 12+1 years: A Coruña, in NW Spain. I was in town to work on my upcoming exhibitions, but I still wanted to take advantage of the little spare time I'd have over there. I visited a couple of iconic spots. 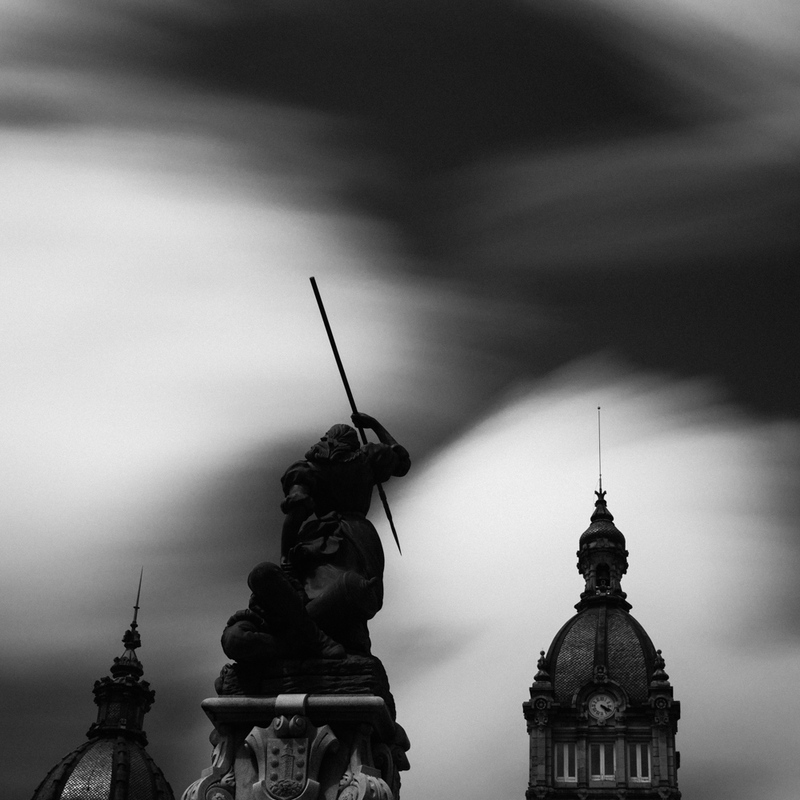 The first one gave me this image of the statue of Maria Pita facing the City Hall. The long exposure created an effect that I like very much. I can't wait to visit again and spend some more time photographing the numerous beautiful things the city has to offer.